South Carolina is one of the most beautiful states in the US, and it is generally a nice place to live in. Historically however, the crime rate has been higher than the national average, and while the rate has gone down somewhat from 2010 compared to 2014, the need for more competent and able bodied policemen and women is still there. Aside from the minimum requirements stated above, you also need to undergo the physical fitness test standards to determine if you are physically capable of doing the things expected from a cop. The physical abilities test (PAT) will depend on the gender and the age of the applicant. While the number of repetitions will vary, the PAT will include the following. In addition you need to run according to the directions outlined on the course map and go through the obstacles that have been set up. Once you have gone through the hurdles you’ll need to complete the stair event, and the next goal is to crawl through an obstacle, climb the fence and drag the 150 lb. weight. After you have dragged the weight, you need to complete one more lap around the course. Timekeepers and spotters are used throughout the course, and they will serve as guides as you go through the obstacles. Unless you pass these tests, you will not be accepted into the academy. The requirements for an aspiring police officer are similar to the ones imposed by the state. The beginners’ salary is $30,494.44 and it will increase following your graduation and can reach up to $34,549.76 yearly. Aside from the physical fitness tests, applicants will be tested for drugs, and total training time is at least 18 weeks. The Charleston Police Department has a starting salary of $34,422 – $37,898, while those with a PHD can make anywhere from $44,934 – $49,449. However, the salaries are based on surveys which are conducted periodically so it is subject to change. To apply as a police officer you need to first undergo a six week pre-academy training program, and if you pass that you’ll undergo a 12 week training at the South Carolina Criminal Justice Academy. The North Charleston Police Department application requirements are similar to the state requirements, and you can download the North Charleston Police Department application form online. Aside from the physical agility and screening test, applicants also have to pass a polygraph test, a reading comprehension exam and pass a background investigation questionnaire. During the background investigation, you will be asked to sign a waiver authorizing the North Charleston Police Department to conduct the background investigation. 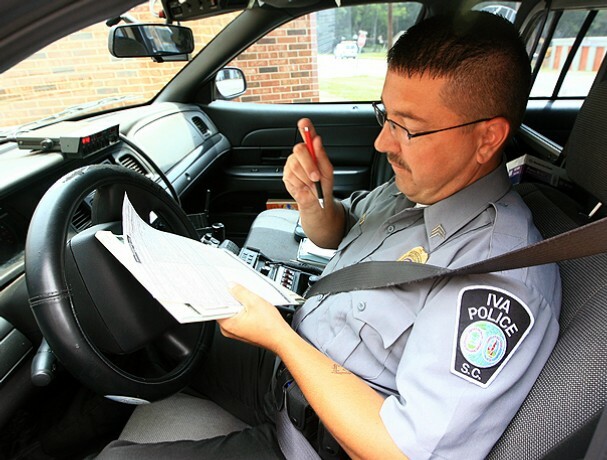 Unlike other departments that only require GED or a high school diploma, an applicant at the Mount Pleasant Police Department must have a minimum of 65 credits or 55 credit hours from an accredited university. However, the other requirements like age, driver’s license and US citizenship are the same as the others. The selection process for a Mount Pleasant police officer takes around 45 days to complete. In addition, you will be personally interviewed by the chief of police, who along with others will determine if you are qualified and acceptable to the force. The requirements to be a police officer at Rock Hill Police Department also follow the guidelines set by the state, but in addition to those, all applicants have to pass a credit history check. Those who are active members of the military or school may apply, but if you are hired the work schedule at the Academy will be Monday to Friday 8:00 AM to 5:00 PM. The department prefers military members who had a honorable discharge, but if you had a dishonorable discharge and want to apply, the board will examine your case and decide if you will be considered or not. The training program lasts 12 weeks, but officers who have been certified previously will only undergo a six week training and must pass a written exam. As the information above shows, you must know how to prepare for the police academy if you want to entertain any thoughts of becoming a cop in South Carolina. Because there are different police departments you can choose from, you must figure out how to use the forms, and prepare yourself physically and mentally. Aside from the physical training you must also be ready for the interview as well. Your best option right now is to use a detailed review guide like Prepare for the Police Academy. This study guide provides tips that will help you pass the tests, and in addition, you will learn how to prepare physically and mentally for the exam. Unlike other police academy guides, this manual was written by someone who knows exactly what you have to do, and he will show you step by step how to deal with the pressure and psychological and physical stress that comes with the training.